Here in this article we will see Things to Consider Before Buying DSLR Camera : Camera Guide for Beginners. If you are shooting with your point and shoot camera or with high megapixels mobile cameras since long time and Now you feel they aren’t doing a good job. You want something more from them but they are not able to deliver those, that’s the time I feel you should consider upgrading yourself to DSLR. At this point an entry level DSLR is a default choice. It will give you more manual control in camera, you can change lenses according to your requirement and many more advantages over smartphone or point n shoot camera. Read here advantages of DSLR. As a entry level DSRL no one looks for higher frame rate, more n more focus points or a fancy flip out screen. The main objective should be first to learn how to operate and make full use of manual functions available in DSLR. We also should explore market to know what feature we should expect from a entry level DSLR. Our main priority should be high image quality, enough focus points, enough compatible lenses in case if you want to upgrade or a good battery life which gives you at least 600/700 shots before it needs to charge again. At this level don’t expect cameras with full frame sensors (FX) or more than 30 focus points with tilted screens. 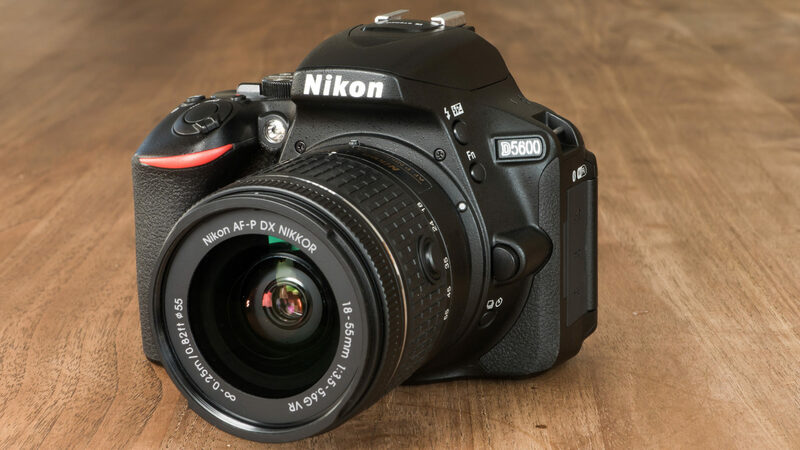 Click here to check 7 best entry level dslr. Sensor is the most important part of DSLR. Whenever we click any image, light reaches the sensor and records the final result. Larger sensor are always better, it captures more details, its also handles low light situation better because more surface area gathers more light to create better result. Larger sensor are also useful to de-focus specific part of image called bokeh or blur effect. You can read here why larger sensor is most important part of any camera. Sensor comes in two sizes, Crop sensor or APS-C and Full frame sensor. Full frame sensor are bigger and better and often used in professional cameras, but it also comes with very high price tag. As a beginner always look for APS-C sensors which is slightly smaller than Full Frame and way bigger than smartphone sensors. Exactly what size they are varies a lot between brands and models. For example, an APS-C sensor, which is very common in entry- and mid-level DSLRs, is 23.60mm x 15.60mm… unless it’s Canon’s APS-C, which is 22.20mm x 14.80mm. The micro “four thirds” sensor is also common, and measures 17.30mm x 13.00mm. This would be most horrible way to decide your first DSLR. Higher Megapixels doesn’t means great image quality. It just decides the image resolution so that you can print your pictures or crop it without loosing much quality. Megapixels are not as important as sensor size. A 50 megapixel smartphone can not even beat 16 megapixel DSLR. But yes do keep in mind if you want to print your image or do some processing then higher megapixel image always help coz it retains the quality even if you crop it. To be honest, any DSLR that you buy today will have more than enough megapixels. If two cameras are differentiated only by the number of megapixels they’re packing, you almost certainly won’t notice the difference. If you do see a difference, it’s likely due more to lens or sensor quality than the resolution. All DSLRs come with a variety of modes, like Action, Night, Landscape, Portrait, and so on. But some entry-level cameras might also come with other modes that are unique to the brand or model, like Panorama, Scene Intelligent Auto, Food, or Guide, which will walk you through the use of the camera. Of course, learning to shoot in aperture- or shutter-priority, or even better manual mode is the best way to go, but when you’re just getting started, having the camera help you out a bit with specific modes can be a big help. Take a look at the modes available on the cameras you’re comparing to see if there are any that stand out at you. This I feel is a personal choice. If any specific brand is your favorite (Canon/Nikon/Sony/Pentax) then obviously technical specs can not override your choice. Now a days most of the companies are making exceptional cameras, big players like Nikon and Canon, while other major players don’t lag behind much including Pentax, Sony, Lumix or Panasonic. For a beginner you should stick to major known players like Nikon and Canon. I am not saying this just because of their brand value, but they also do offer wider variety of lenses from each category. So in case in near future if you want to upgrade you can easily do. You will also get good resale value for these brands in any market. The vast majority of entry- and mid-level cameras are packaged with what’s called a “kit lens,” which is an 18–55mm or 18-140mm. Among these two I personally prefer 18-140mm is more flexible and really great to start with. These lenses tend not to have the same quality glass or the same number of features as more expensive lenses, but they do the trick. However, if there’s a package deal where you can get a nicer 18–55mm lens, a 50mm prime lens, or even an extra telephoto lens, that can make a big difference in your purchase decision. Once you decides on above factors, you will be in a good position to know which camera would be better for you. Camera Guide for Beginners article discussed by comparing the sensor size, megapixel resolution, lenses, and various other specs on each camera, you will get a much better idea of what you’re getting for your money. Make an informed decision, and you’ll be happy with your purchase and well on your way to becoming a photography enthusiast. I have consolidated best 7 Entry Level DSLR for Beginners, Explore here with few options.